We are constantly surrounded by Endocrine Disruptors in the environment today. Endocrine Disruptors are toxic substances in our food, environment AND home and body products that adversely affect our liver, thyroid, adrenals, and every organ of the body. ED's also create a disturbance in the fibro body's ability to properly cleanse and regenerate. The problem is that all of this disruption creates imbalance especially when living with a chronic illness. These disruptors can greatly exacerbate symptoms and chronic pain. Let's start with water, but not just any water. I am talking about tap water. Unfortunately, there are many contaminants in tap water. Some of the most common include flouride waste, and chlorine. But there are many other waste contaminants that can really disrupt our endocrine system. For instance, our thyroid is so vulnerable to toxins, and the first way that we can support our thyroid and proper hormone production is by using water filters for both drinking and showering. I recommend the shower water filter shown below from Amazon. Click on the image or the text link if you want to check it out. How Do We Protect Ourselves From Endocrine Disruptors? First, we need to realize that companies who are supplying many of these substances in the form of body products, fragrances, etc. are not subject to regulations due to the ‘trade secrets’ encompassing many of the ingredients. They are not obligated to list the array of chemicals that are affecting our well-being every day. Therefore, we must be even more diligent about knowing what substances are harmful to our fibro bodies. Synthetic fragrances in body products and scented laundry soaps are especially harmful because we are in such close proximity and breathing in these toxic substances on a daily and constant basis. These toxic endocrine disruptors are so harmful because they can contribute to fatigue in the adrenals, lower thyroid hormone levels, dysfunction in the liver, disregulation of hormones and a compromised immune system. Living with any chronic illness, we cannot afford that extra burden. 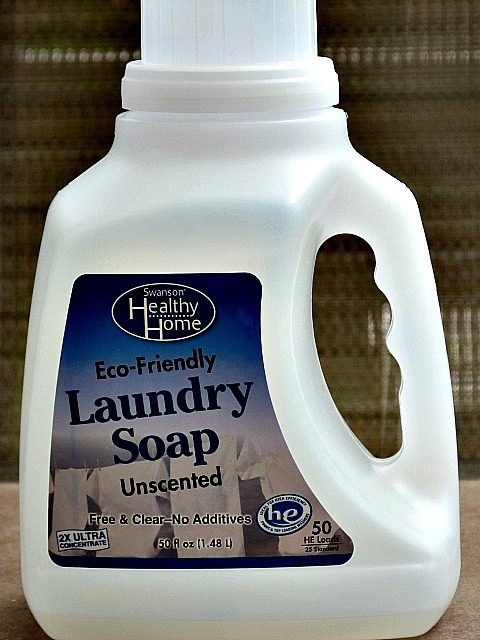 It is best to buy scent free and dye free laundry soap or make your own. The same with every product used on our bodies. These products are taken in and absorbed by our skin on a constant basis and these chemicals go directly to our bloodstream and cells. The THYROID and ADRENALS are especially vulnerable. Especially as we age with a chronic illness. We must not take short cuts. It may seem daunting to think about changing home and body products IF you are still using conventional products, but it is truly the first step to creating a safe haven for our sensitive fibro bodies!! I have lived chemical and fragrance free since a very young age, so I know it can be done. But, family members MUST be 'on board' with keeping a safe haven as well. Here's an easy place to start ...replace all of your regular conventional scented hand soap from dispensers in bathrooms and kitchens with a non toxic soap like that from Miracle II brand. Because it is concentrated, one bottle of Miracle II soap will last up to six months. The ingredient list of the Miracle II brand body moisturizer (shown here) simply consists of almond oil, coconut oil, apricot oil and vitamin E.
It is absolutely the best feeling non-toxic lotion I have ever put on my body. A short ingredient list will always be best. Keep the dispensers ...just replace the soap itself ..Miracle II liquid soap has many non-toxic uses from car washing to bathing the dog and washing dishes..
What are you sleeping on? More people today are concerned about the food and drinks they put into their bodies every day. But what about the materials you are sleeping on? The mattress and bedding that you sleep on can be subject to everything from pesticides to highly toxic substances like formaldehyde. These are highly toxic to your liver, thyroid, adrenals and your brain. And, the problem is that you are in such close proximity to these potentially toxic substances at the very time that your body is in great need of regeneration. Most mattresses are required to have flame retardants in them, however these flame retardants are highly toxic. After researching more on the subject, I found a company that uses wool as a natural flame retardant. And what about plastics? Plastics in our environment, such as food containers and the like are even more harmful if subjected to heat. They should never be heated in a microwave, regular oven or left in a warm car. If traveling with water from home, it is best to use glass containers if they will be left in a car or warm area. Many containers and plastics on the market are now BPA free, yet there is more to the story, as that is not the only endocrine disruptor we need to avoid. Don’t let good marketing tactics deceive you. Like many endocrine disruptors, BPA, has been linked to early puberty and cancer. Meaning that plastics can actually mimic estrogens that contribute to hormone disregulation in kids and adults alike, male and female. In 2011, the American Medical Association labeled BPA an “endocrine disruptors agent”. Research has established that bisphenol A , BPA, is carried in the bodies of more than 90% of Americans. And now, multiple recent studies have found this “endocrine disruptor” in fetal tissue. According to the Breast Cancer Fund, a developing fetus is most susceptible during the first 11-weeks of pregnancy. And, a very recent paper from a researcher at Tufts University reported that BPA increased the risk of mammary cancer in rats. Since BPA was originally developed as estrogen-replacement therapy, it is suspected that prenatal BPA exposure may make fetuses more sensitive to estrogen. Estrogen is the hormone that powers the growth of most breast cancers. Like many endocrine disruptors in our environment, BPA is part of a complex “push-pull” of safety concerns. As I said, the AMA says it’s an endocrine disruptor; the American Chemistry Council points out that BPA extends the safe shelf life of food products and protects against contamination and spoilage. Industry groups continue to state that BPA does not represent a risk to humans at any stage of development. Where is the FDA on this issue? On both sides. After reviewing hundreds of BPA studies, the FDA issued a statement saying that BPA is “safe at the very low levels found in some foods”. Then in 2012, they banned the use of BPA in baby bottles, and expressed “concern” about the potential effect on children, both pre and post birth. We can’t have it both ways. I think BPA falls into the class of environmental toxins that I discuss on the Environmental Toxins page. Click this link to read more. How do you feel knowing that companies do not have to list carcinogenic substances in packaging ? They do not, and yet BPA which is used to line metal cans and BPH on the inside of cereal bags is often filled with it..
Do you ever wonder about the number on the bottom of your plastic container? #7 may contain BPA, #3 may contain phthalates. Plastics with codes # 1, 2 and 5 are safer in general. Yes, there are companies who are working to make healthier products, yet there is still much ground to cover, so we must be taking individual responsibility. Protect yourself and your ability to attain greater levels of healing by avoiding and not supporting products or companies that are harmful to YOUR body and your environment. Again, be sure to remember that the words ‘endocrine disruptor’ never appear on a label so we are best to avoid if in doubt. Use only natural products with a short ingredient list, natural oils, and natural cleaning agents found in any kitchen,etc. Fragrances are often included in many body and home products. The problem is that most of these are synthetic ingredients and chemicals, including phthalates. Sodium laurel/laurel sulfate is is a surfactant that is often contaminated with a carcinogenic substance, 1,4 dioxane. A few of my favorite companies producing non-toxic products include Clearly Natural, Swanson and Miracle II brand soap and moisturizing lotion. In fact, Swanson now carries non toxic soaps and laundry detergents (shown here) that only use a coconut based surfactant. I recommend and use only the most natural products. From scent free laundry soap to the Miracle II line of soap and lotion Nothing has more than 4-5 natural ingredients. Avoiding endocrine disruptors is essential and the good thing is that we also save money at the same time... that is essential as well when ‘living smarter’ so that we can put our money into supporting our wellness, NOT our illness.